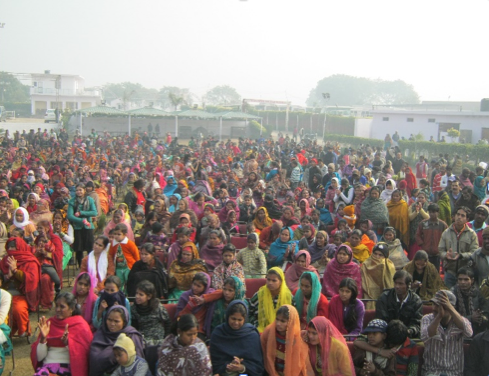 On December 27, 2014 Safai Sena held its annual meeting. Around 1100 waste recyclers from various waste recyclers’ communities were present. Safai Sena area leaders from each community presented their achievements, challenges and the next year’s plan. A cultural program was organized by waste pickers’ and their children which included songs related to waste and waste pickers’ work. Safai Sena members also distributed certificates to the area leaders for their commendable work in the communities. Elections were conducted for Safai Sena governing body members for the post of the President, Vice President, Secretary, and Treasurer. Ten new executive members were also elected by the attendees. The annual meeting concluded with vote of thank to all the participants for their contribution and attending the event.